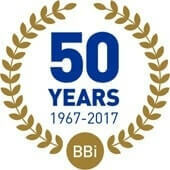 BBi Risk Solutions offer a comprehensive and cost effective range of services which include Human Resources, Health & Safety Consultancy and Training. From the initial discussions right through to live testing of real life situations, BBi Risk Solutions will work with you all the way. Business continuity can and should add value to your business and we can make sure that you benefit from the process without having a disaster to prove it. If you are in business, your business is at risk. No amount of pre-emptive risk management or risk control measures can eliminate the possibility that your business could be hit by a catastrophic event. If that happens, what will you do? If your business doesn't have an effective action plan before a major incident, will it be too late to devise one when it happens? Why choose BBi Risk Solutions? The common assumption is that business continuity planning is lengthy, costly, difficult to manage and difficult to maintain. At BBi Risk Solutions, we provide a package of consultancy and software aimed at enabling organisations to develop and maintain their plan quickly, easily and at an affordable price. Our service avoids large, long and costly projects that might never be successfully completed. Throughout the process, we will work with you to agree the scope of the plan and monitor the process. All work is structured around the following criteria. A consultant from BBi Risk Solutions will meet with you in order to agree a fixed price quotation for the project, giving you the comfort of knowing exactly what you will be getting, how long it will take and the cost to achieve it. To discover how good advice can cost less click here, email rm@bbirisksolutions.com or call BBi Risk Solutions on +44 (0)20 8559 2111.